Swansea is developing a reputation as an alternative hub for digital businesses – will you station your start-up in this affordable coastal city? Whilst the city is not as well-established as some as a centre for enterprise, its peaceful location has seen it become somewhat of an alternative hub for digital businesses looking to escape the bustle and cost of London. Leading Old Street tech co-working space TechHub opened a location in Swansea, reflecting the increasing credibility of the rapidly growing tech scene there. 33.8% of the population (51,400 people) are of working age with NVQ Level 4 qualifications and above, putting it in the top 30 cities in the UK in terms of proportion of skilled recruits. It is also cheaper than Cardiff in terms of labour costs, with low salaries compared to the rest of south Wales generally. Average full-time weekly earnings in 2016 stood at £470.80, substantially less than Cardiff’s £531.40 per week – so while you will be drawing from a smaller population, it should be somewhat cheaper generally. Elsewhere, the SA1 Swansea Waterfront initiative is a major new mixed-use development in the docks area of the city which, in addition to a range of more general office space for businesses, contains two ‘Technium’ innovation centres. The Technium centres offer flexible space for science and technology businesses, in addition to specialist business support services and networking opportunities across two separate sites. Businesses have a range of options when it comes to support through co-working spaces; in addition to the recently opened TechHub Swansea and IndyCube both offer collaborative spaces in the city centre. TechHub also runs a £10,000 accelerator programme in the city, launched last February. Swansea is not known as a major office location, due to its small size and somewhat out-of-the-way location, although you have a range of options when it comes to business parks both within and outside the city centre, including Matrix, Swansea West (with 20 hectares of land), Riverside, and the industrial-focused Ashmount Business Park. The main business angel network in Swansea – and Wales generally – is xénos. It acts as an introduction service between businesses and local investors and has facilitated investments of around £200,000 in the past. Elsewhere, you can contact Angels Den which can connect you with regional advisers. One of the major draws of Swansea is that the cost of living is very low. The average house price for the year ending September 2016 was just £139,127, considerably less than Cardiff (£191,582) and one of the lowest for the southern part of the UK overall. Crime levels are also on the lower end of the scale; at just 68.19 crimes per 1,000 people, it compares favourably to similar-sized cities in the UK and makes Swansea one of the safest places to live in metropolitan Wales. More generally, Swansea is a peaceful and visually appealing city, with its location on the Gower Peninsula offering spectacular views and earning it the status of the UK’s first designated “Area of Outstanding Natural Beauty”. 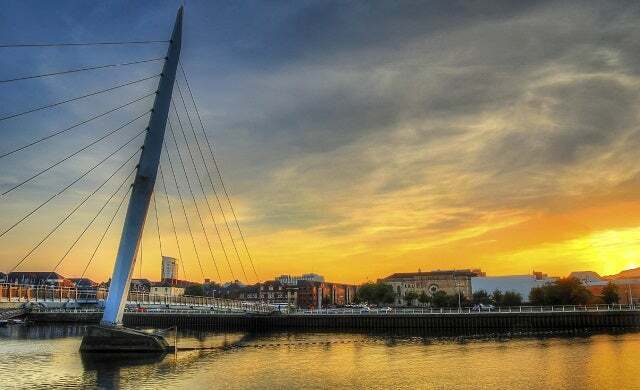 With a somewhat quieter nightlife and cultural scene than the nearby city of Cardiff, there is still lots to do in Swansea, and the city offers a great point of access to the landscape and attractions of south Wales. A first-hand account from an early-stage start-up on what it’s like to start a business in Swansea and what the city has to offer new entrepreneurs. You can also gage insider opinion on what more Swansea needs to do to accommodate start-ups.